Home » Archive » Topics » Facility Management » It’s legit, folks…the Ocean Dome! 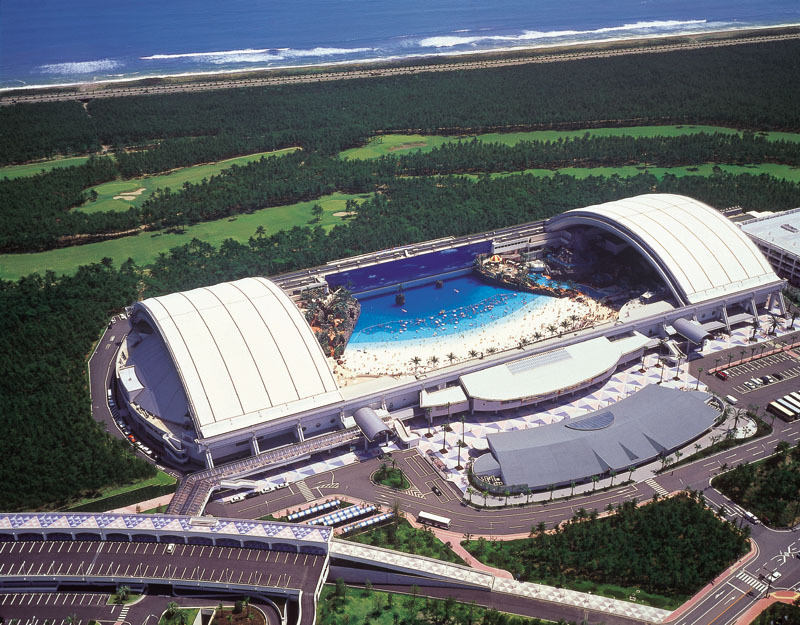 It’s legit, folks…the Ocean Dome! Here’s a nice piece of engineering and construction. Check out the exterior shot of the building. 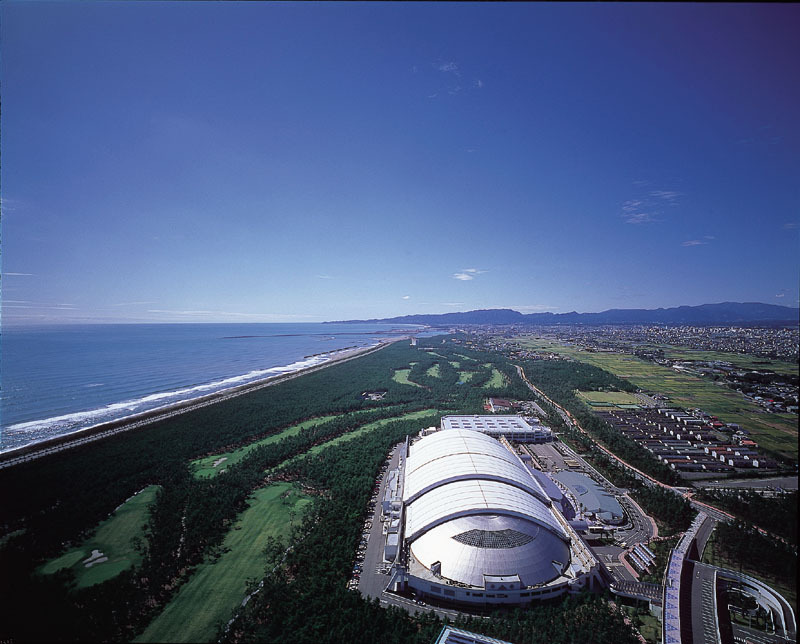 Note the surrounding area…mountains, sea shore, golf course, residential area. What do you think is inside this building? Imagine a beach where the sky is always blue, it’s never too hot or cold, the water isn’t filled with salt and pollution, and the surf is always perfect – welcome to Ocean Dome, the world’s only indoor beach. 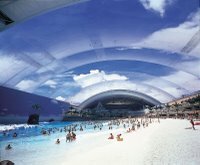 Ocean Dome has its own flame-spitting volcano, crushed white marble “sand,” and it also boasts the world’s largest retractable roof, providing a permanently blue sky. so the SURF’S UP . . .rain or shine! 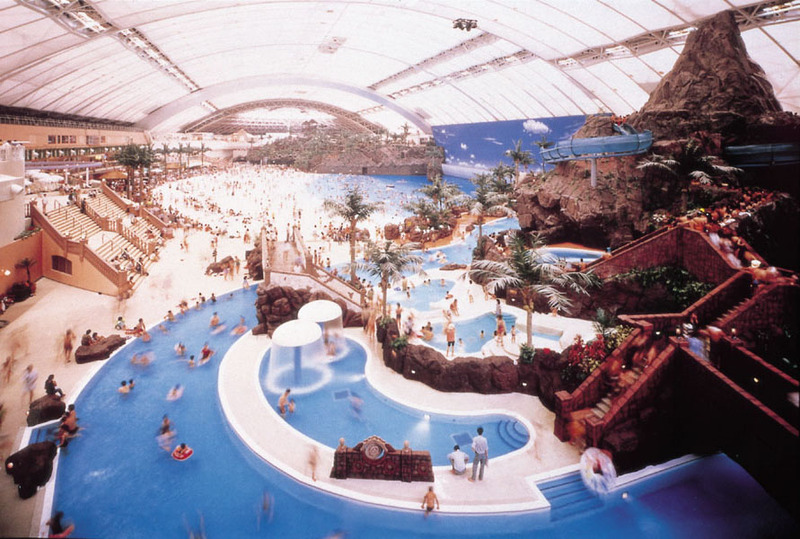 Temperature, wind and humidity are closely controlled to provide an ultra-safe “sea-side” experience. 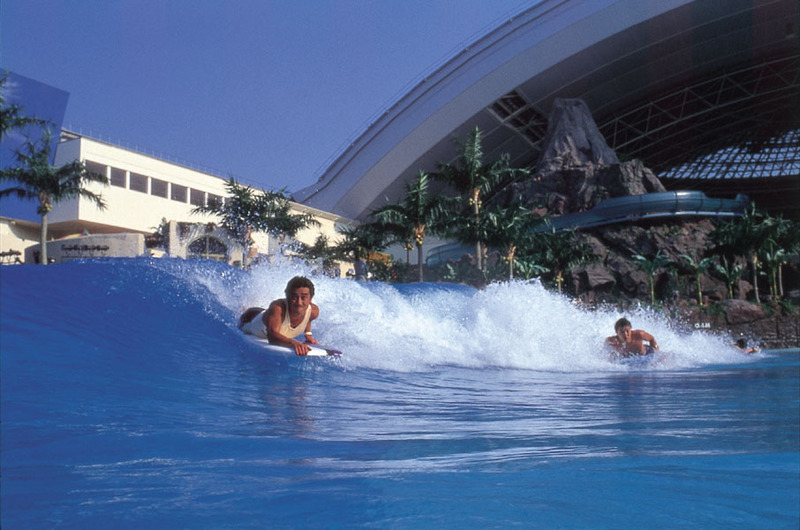 Every hour, the volcano erupts and the hi-tech wave machines start up, starting a few minutes of sanitized surfing. Entrance cost is US $50 per person, which seems especially expensive given that there is a free, natural beach only 300 meters away. Previous articleServices & Maintenance: Have You Checked Your PMP Lately?